The British people have spoken, and they have said: “Meh”. With the worst voter turn-out for 12 years, and with so many cities voting to not have an elected mayor (sticking, sadly to a system that lets crony councillors run things in tired old cabinet systems), it’s clear that it’s an “I am fed up with politics” moment. Labour are happy with the result, but with turn-out less than a third, it’s not like more people have really voted for them, not in any significant way at least. Tory-run councils have fallen to Labour, not because people have defected to Labour from the Conservatives, but because Tory voters either stayed at home or voted UKIP (who have had a good night, proportionally speaking). The result actually might be good for Cameron, as it keeps Ed (or ‘Odd’, as I like to call him) Milliband as Labour leader. If Labour did badly, Odd might have been replaced with someone better, and if Labour had done incredibly well (i.e. much better than they actually did), then it might be a cause for concern, as Odd could be a more serious threat to Cameron during the next general election. So this could be the best of all results for Cameron in that regard. 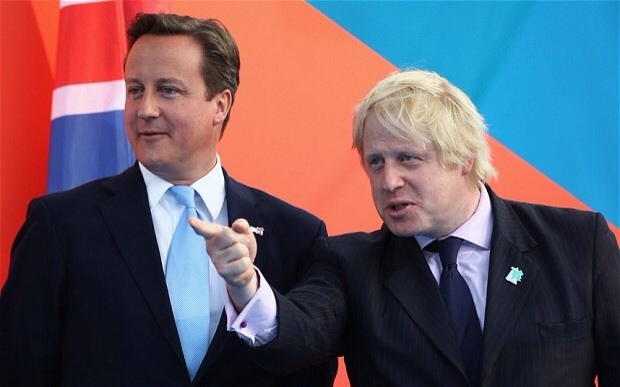 But the really intersecting story is about Boris and the future of politics in general. Here’s an exciting and optimistic summary from the ever-engaging Fraser Nelson.